To sew with elastic thread, you must hand-wind the bobbin. Do this without stretching the elastic thread. Wind the elastic thread on the bobbin until the bobbin is full. Leave a thread tail of the elastic thread and bring the elastic thread up through the sewing machine ​throat plate. 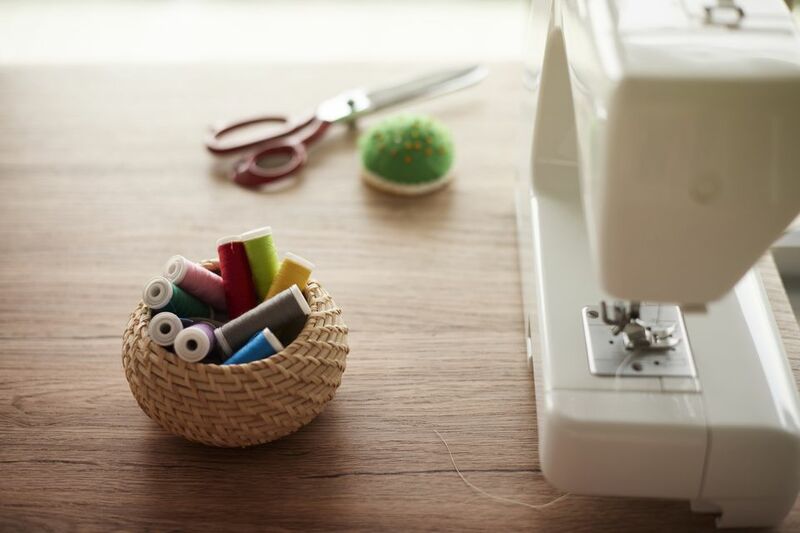 Always leave a couple of inches of thread tail when you stop sewing with elastic thread.Do not use automatic thread cutting features on your sewing machine while sewing with elastic thread! The automatic thread cutter will not leave a long enough tail, causing the end of the elastic thread to pull back into the bobbin case and you needing to re-thread the machine.